SHAPE Services has released a new application for those of you who hate inputting information from business cards manually. Business Card Reader is a scanning utility that simply lets you scan a business card and by making use of ABBYY's text recognition technology allows for the extracted information to be added directly to your address book filling in all the appropriate fields. Having tested it on some business cards I have, I found it to be quite accurate in its rendering and identifying of information. Could be quite useful if you deal with business cards quite frequently. Business Card Reader is available now for $9.95 but SHAPE Services does offer up a 7 day trial for everyone to check out before making a final purchasing choice. 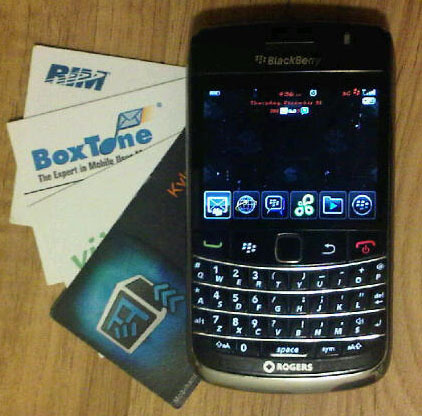 Supported devices include BlackBerry Tour, Curve 8900, Storm, Storm 2, Bold 9700 as they all have a higher resolution camera with auto focus to capture the data. Business Card Reader also supports different languages such as English, French, Italian, German and finally, Spanish.